Robert N. Essick is currently Visiting Professor of Literature at the California Institute of Technology. He delivered the inaugural Vincent A. De Luca Lecture at the University of Toronto in February 1995. 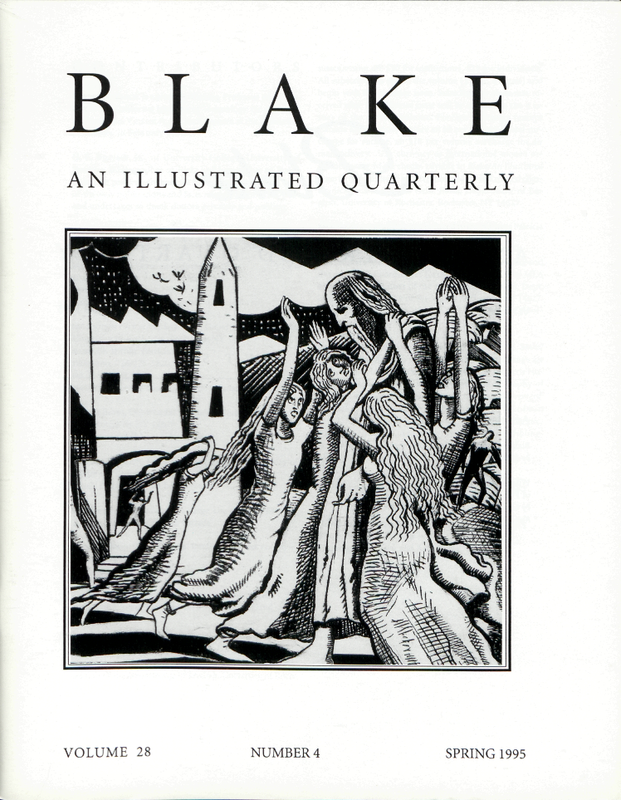 G. E. Bentley, Jr., of University College, University of Toronto, Bibliographer of Blake and biographer of Blake, would be particularly grateful for information about out-of-the-way publications and facts relating to the artist-poet and undertakes to thank donors privately and publicly. Cover illustration: Paul Nash, illustration to Blake’s Tiriel: The Cry was Great in Tiriel’s Palace (detail). Huntington Library and Art Gallery.